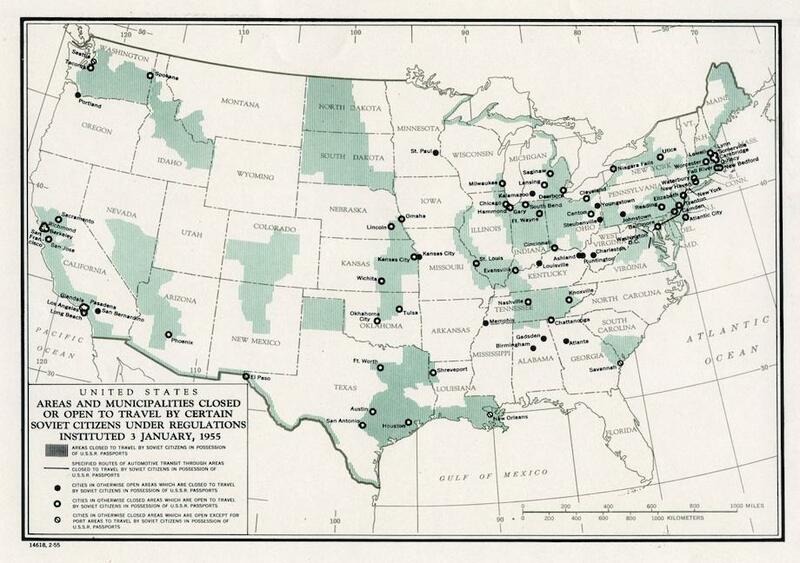 The CGA is happy to present a set of resources designed to help educators and students engage in inquiries into the effect of the Cold War on perceptions and representations of the world as well as the use of maps and geographic information as rhetorical weapons in the execution of the Cold War. This information was assembled to support the Midway Summer Teacher Institute. 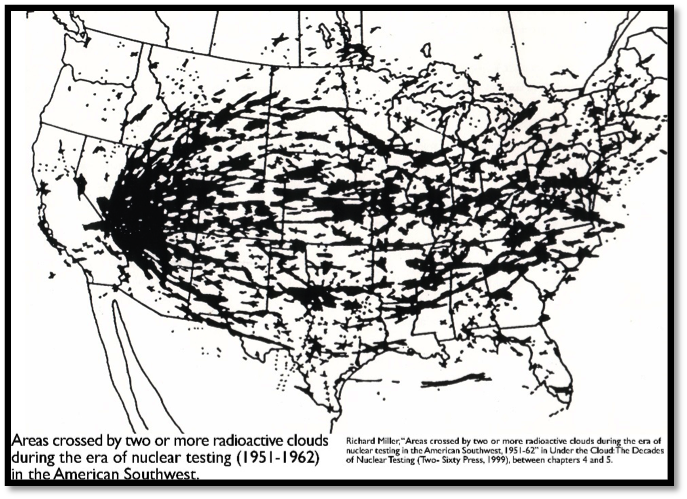 Dr. Tim Barney was a featured speaker at the institute in 2015 and 2016, and a video of his lecture — in which he presents a detailed analysis of one particular map’s purpose, production, and use in various contexts — is available here: “The Rhetorical Lives of Cold War Maps” (will open in new window). 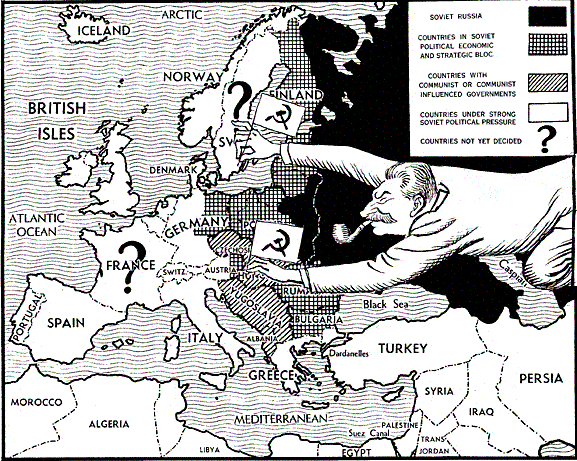 Please also access our Cold War Map Gallery here (will open in new window). Click here to download the content below as a printable pdf. This introduction and overview was developed to accompany an assortment of 9 large maps displayed during the Midway Summer Teacher Institute. 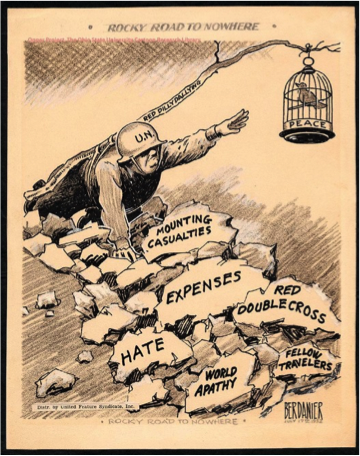 It presents a collection of small images reflecting the politically and tactically informed perspectives on, and representations of, the world prevalent during the Cold War. 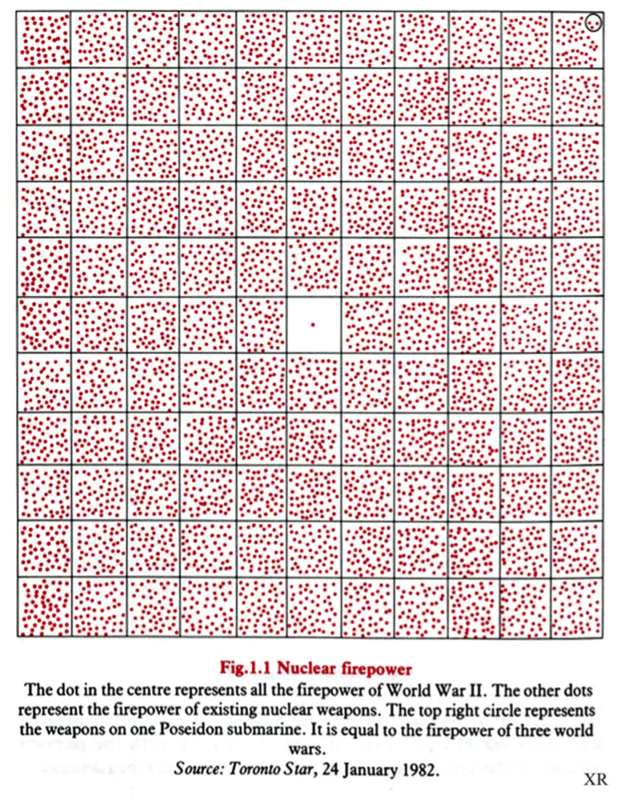 The Cold War period called for careful re-mapping of the world in a nuclear age. 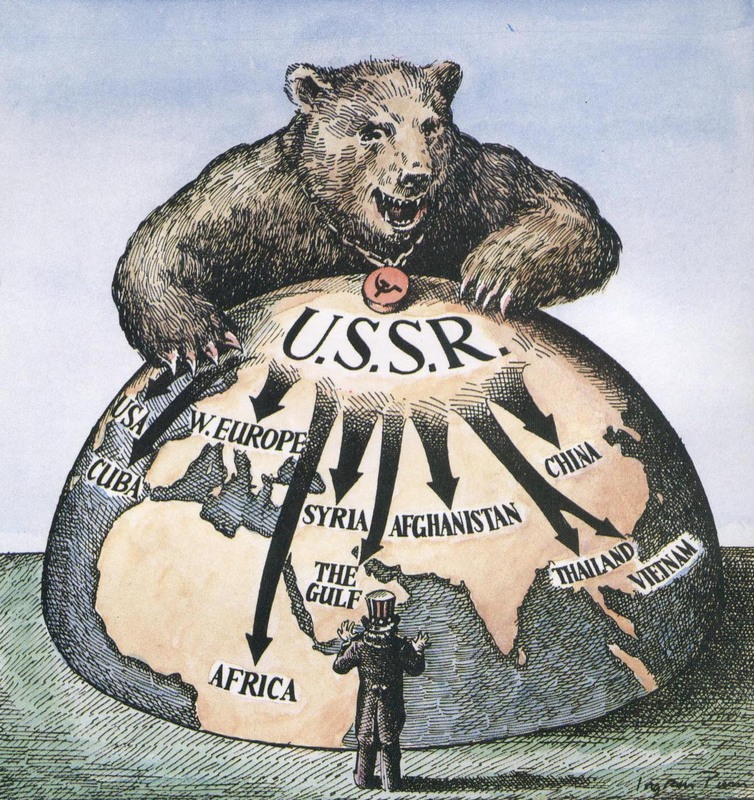 Maps also created powerful imagery that informed the public about the realities of how the struggle between superpowers and ideologies was organizing space around the globe. All images were obtained online, and source information is provided. 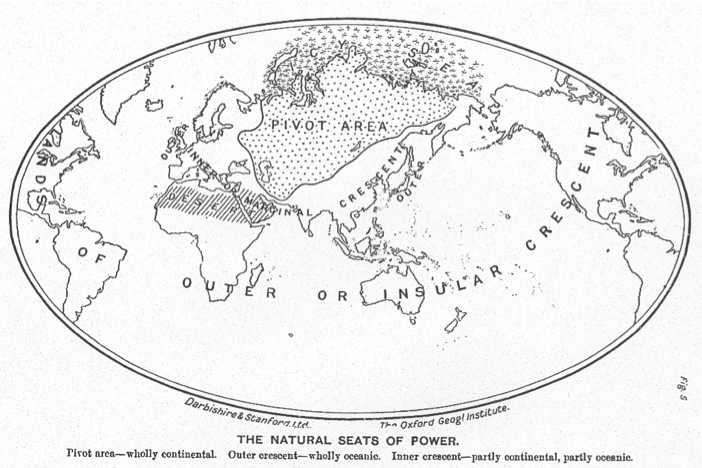 In 1904 Mackinder gave a talk at the Royal Geographical Society entitled ‘The Geographical Pivot of History’, which was illustrated with this world map. Mackinder believed that central Asia, or what he called ‘Eurasia’, represented the pivotal area of the world’s politics, and that whoever controlled this vast, landlocked region and its resources would effectively rule the globe. The map influenced generations of thinkers and politicians, from George Orwell’s dystopian world of 1984 to the US foreign policy promoted by Henry Kissinger and Zbigniew Brzezinski. 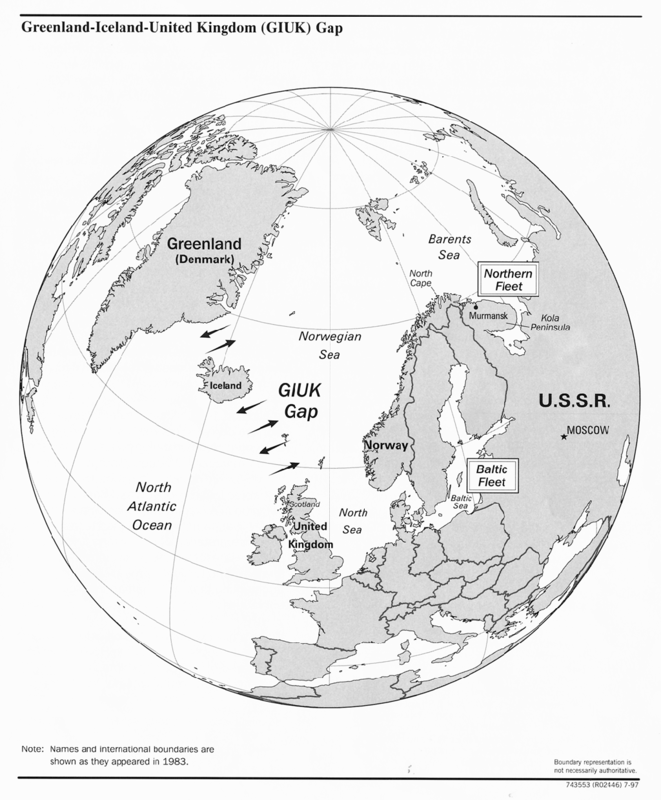 Previously viewed as a chokepoint in naval warfare, the narrow gap between Greenland, Iceland and the UK became the main “highway” used by Soviet bombers and maritime reconnaissance aircraft flying to Cuba, monitoring NATO maritime activities or simply probing local air defenses. 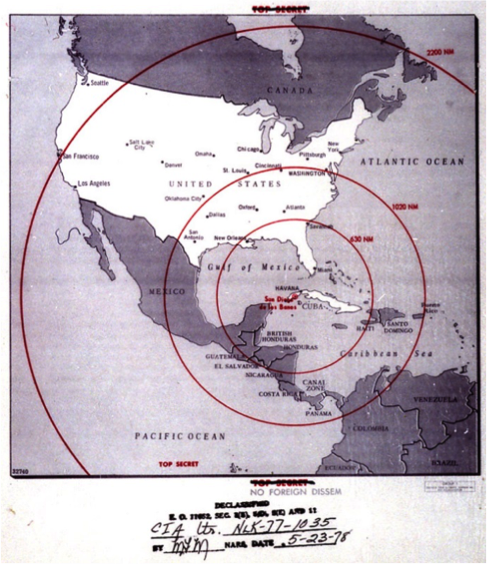 Azimuthal projections became popular because their conservation of true distance was usefulness in showing the range of aircraft and missiles. 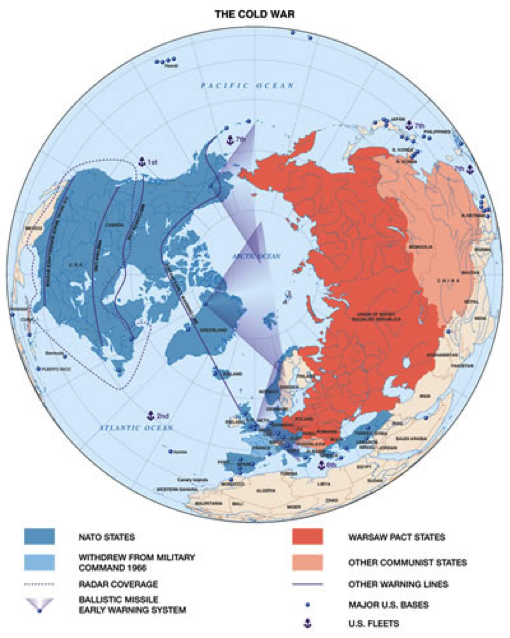 The polar azimuthal projection seen here also emphasizes the proximity between the US and USSR. 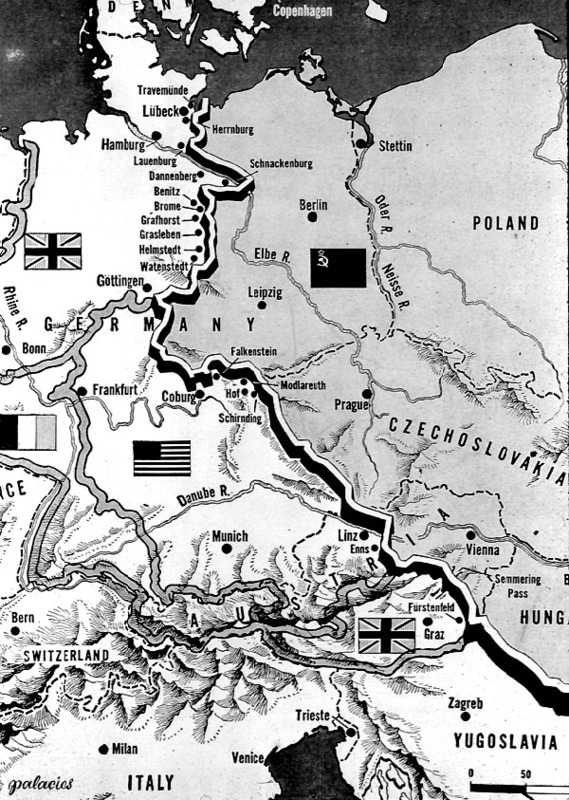 1946 map of the “Iron Curtain” reflecting the assertions made in a Winston Churchill speech. On March 5, 1946, a train with two World War II statesmen left Washington D.C. and steamed across the United States to the gateway to the west, Missouri. In the town of Fulton, population 7,000, at Westminster University, former British Prime Minister Winston Churchill, with President Harry Truman by his side, delivered a prophetic speech to an audience of 40,000 students. Titled “The Sinews of Peace” the oratory soon became known as “The Iron Curtain Speech”, referring to the figurative curtain that had fallen, separating democratic western Europe and Communist Eastern Europe. 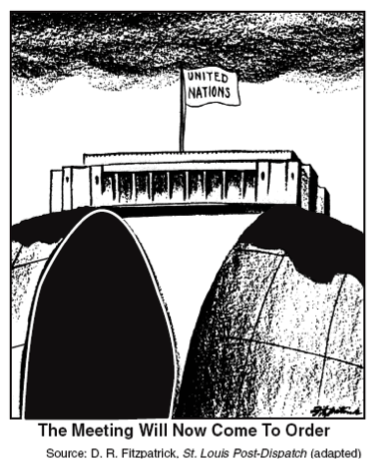 This was a piece of election propaganda distributed by the Liberal Party during the Federal election on 26 November 1966. The graphic shows the encroaching “red menace” coming southwards from China through South-east Asia towards Australia. 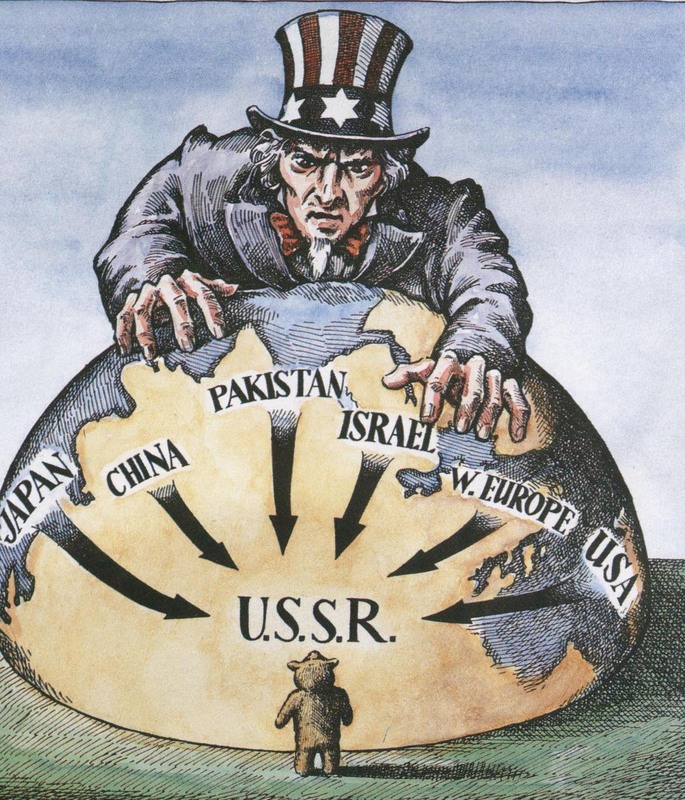 The United States became increasingly vigilant against the potential for communism’s spread into the Western Hemisphere.